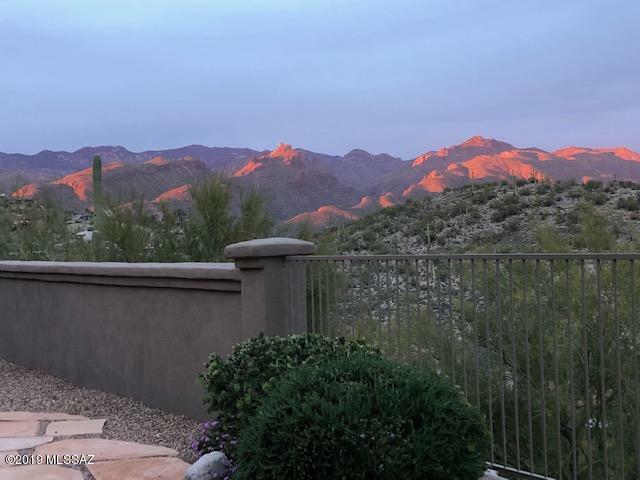 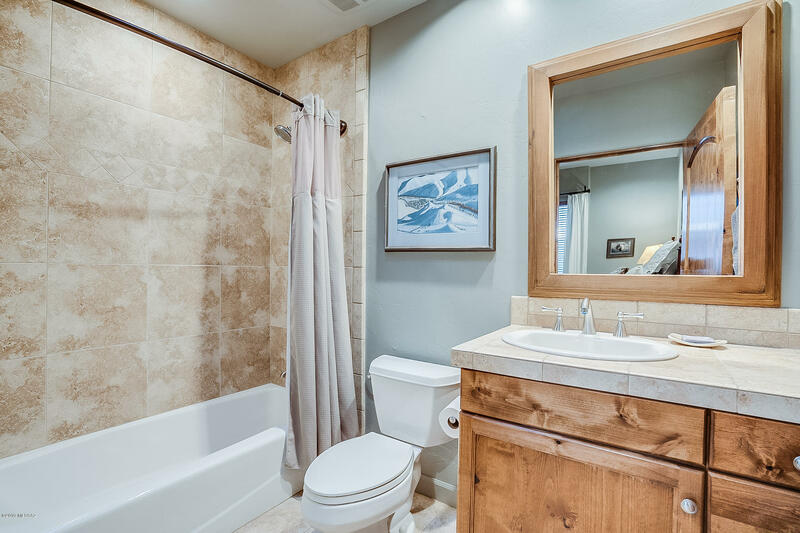 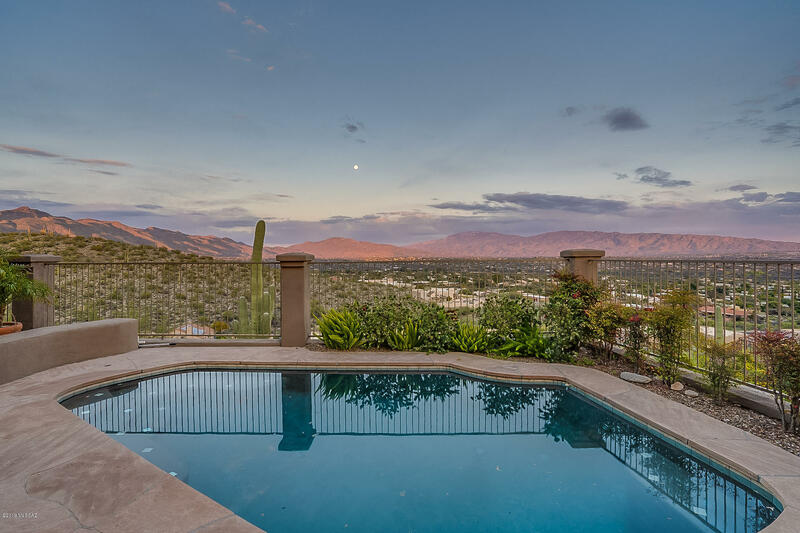 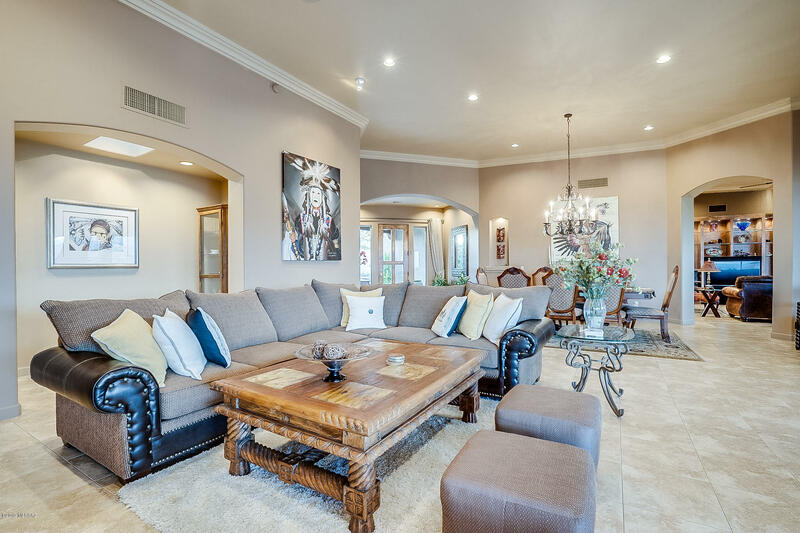 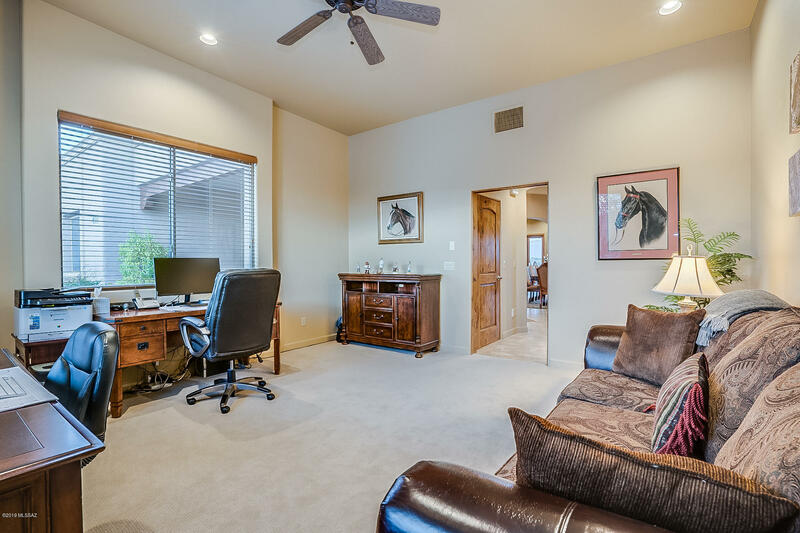 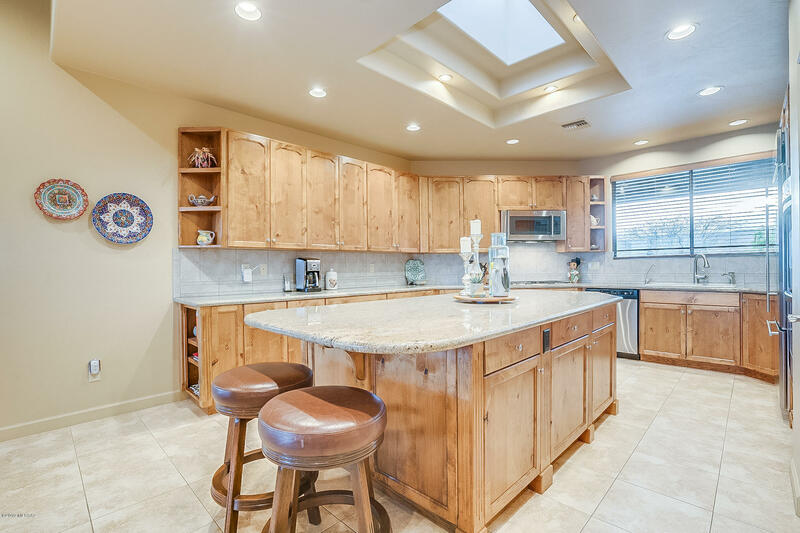 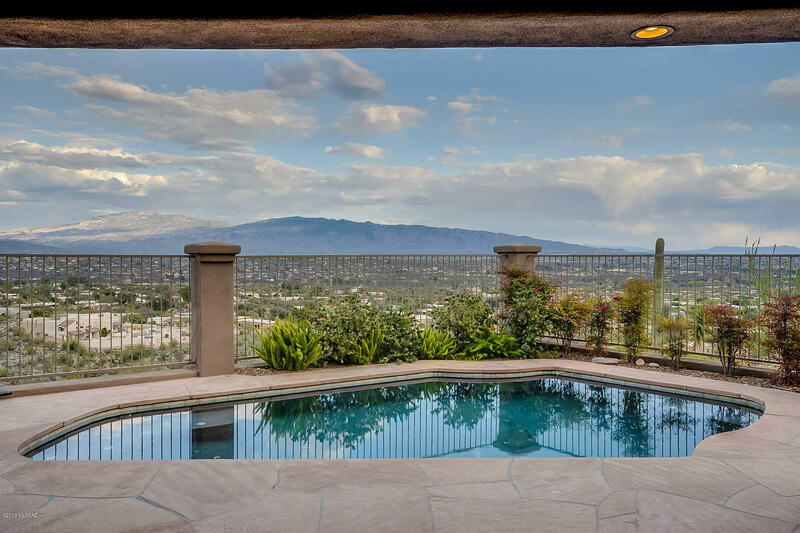 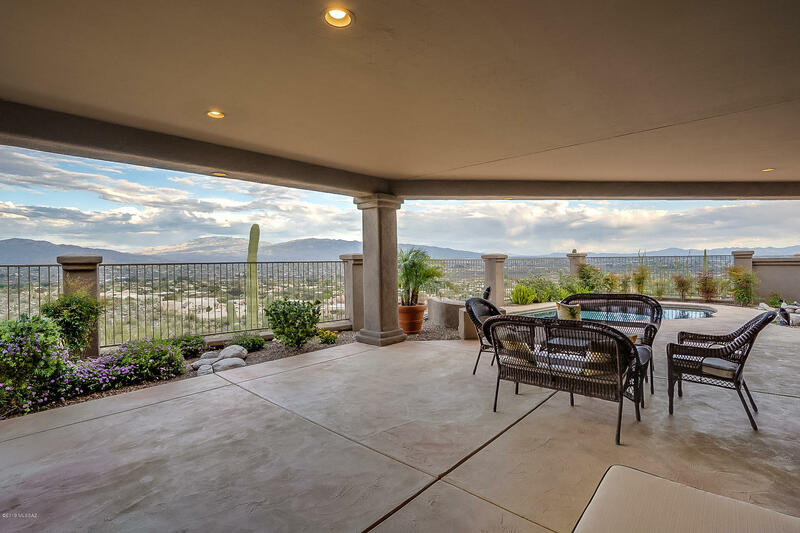 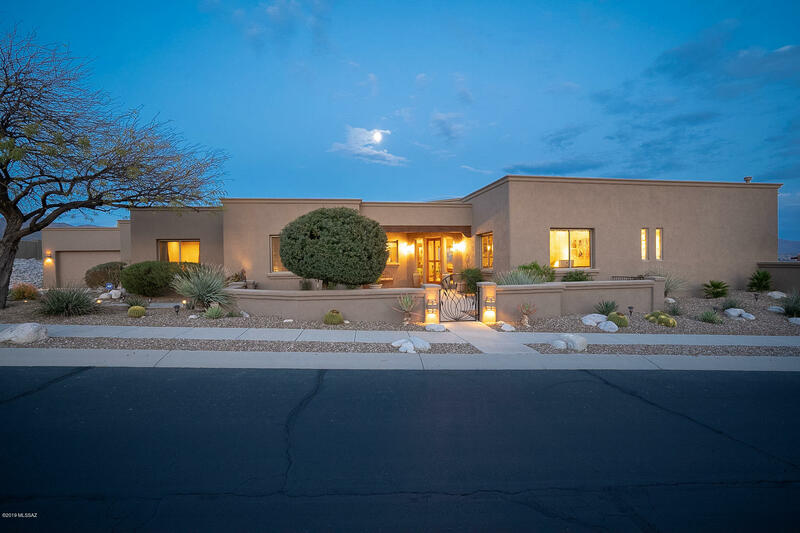 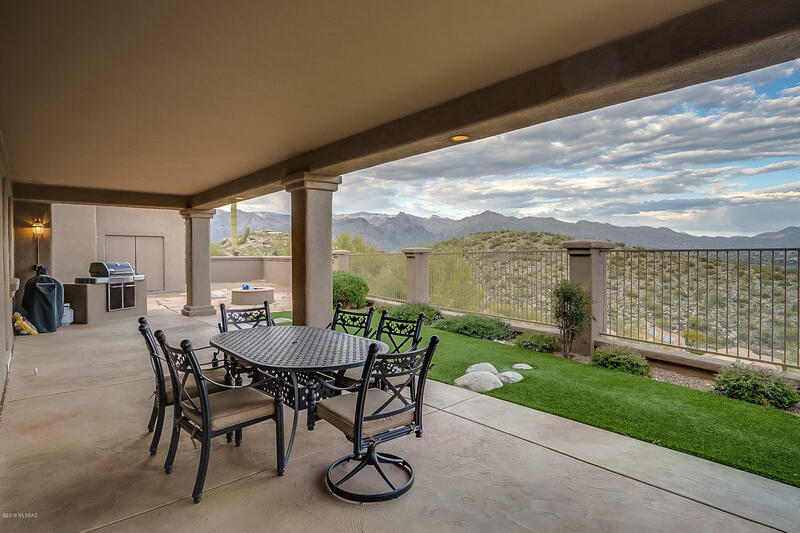 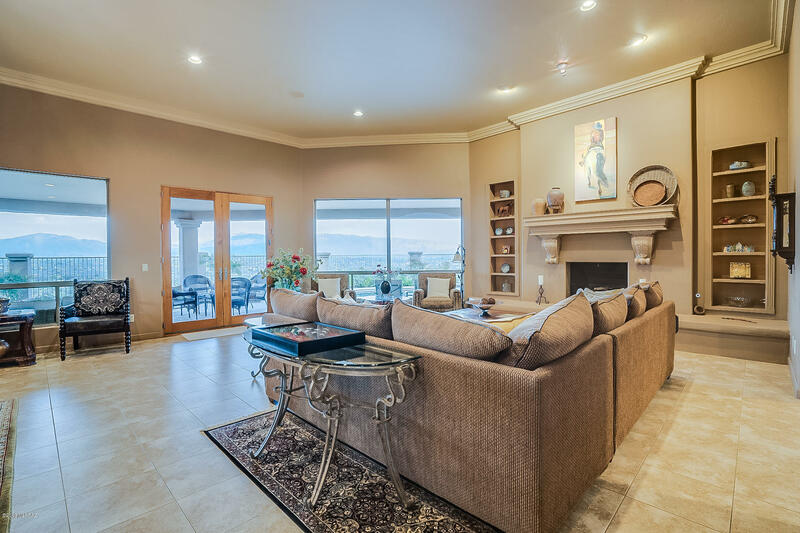 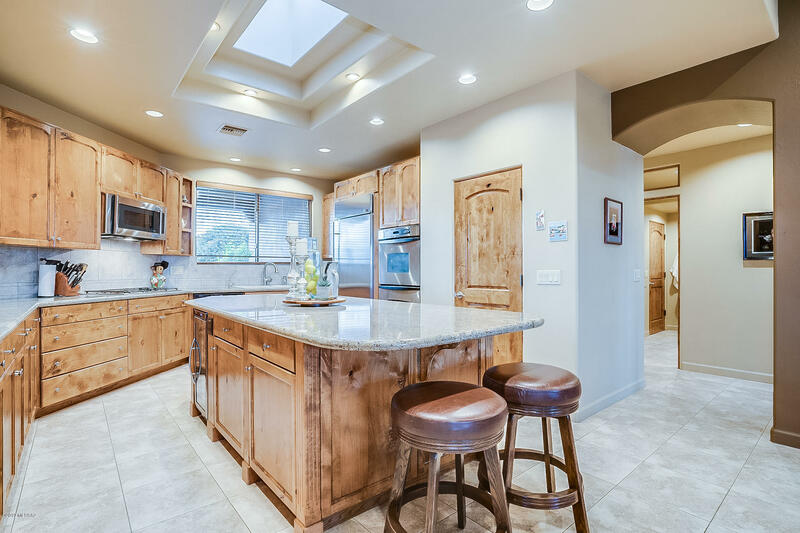 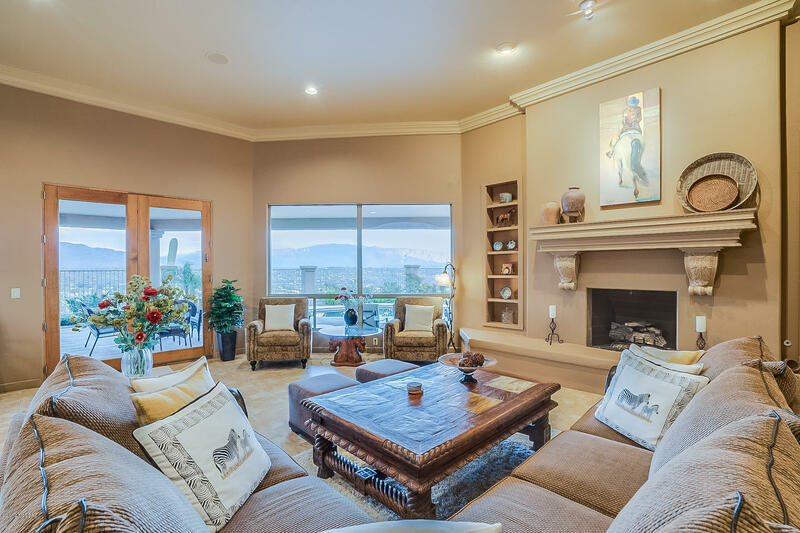 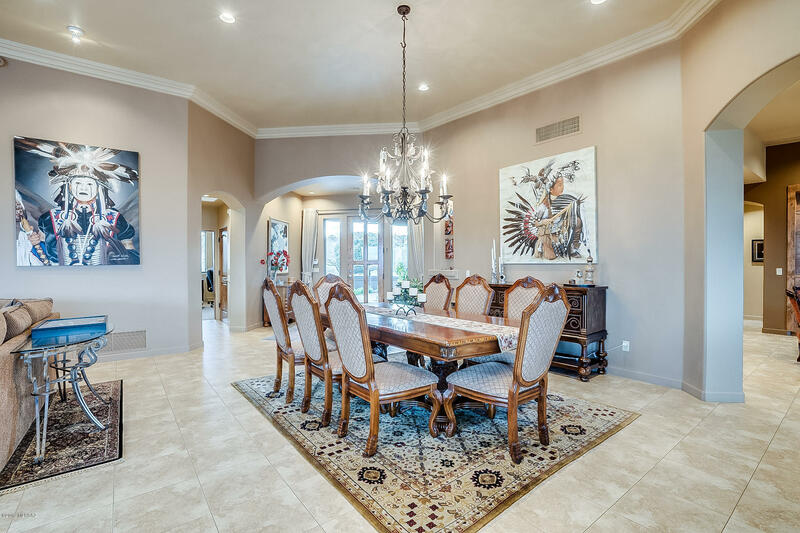 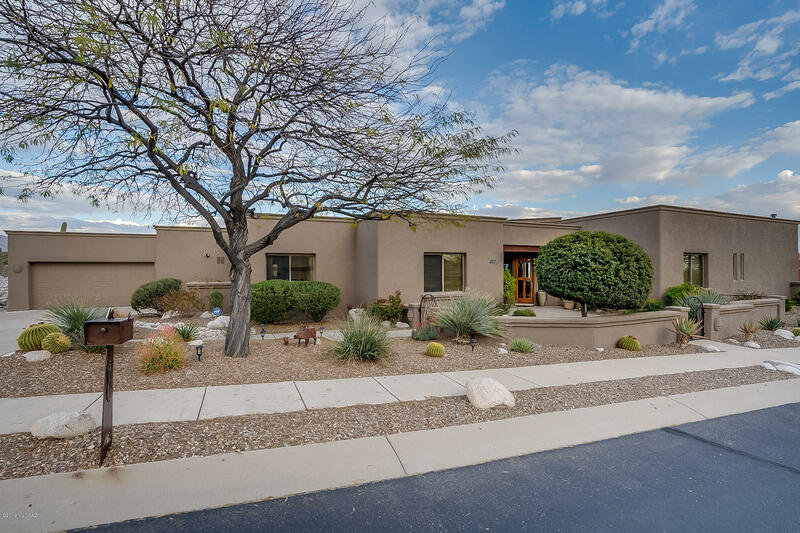 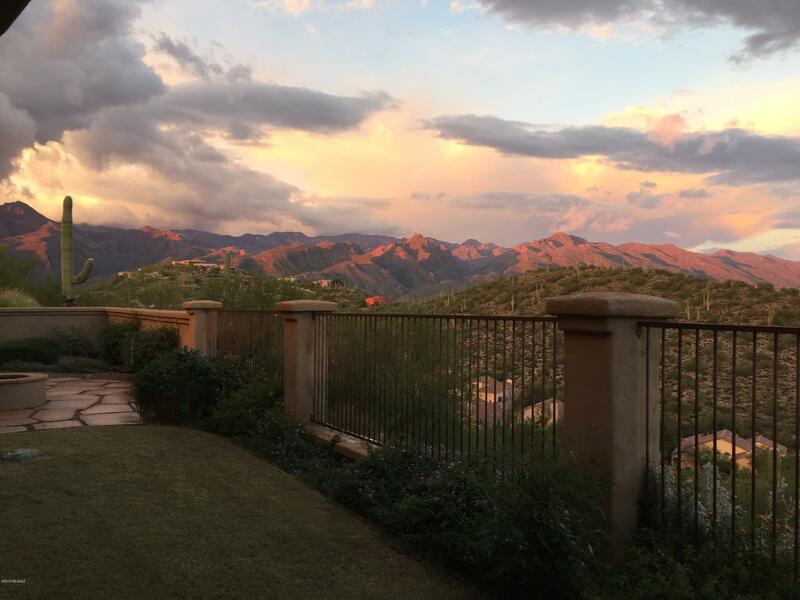 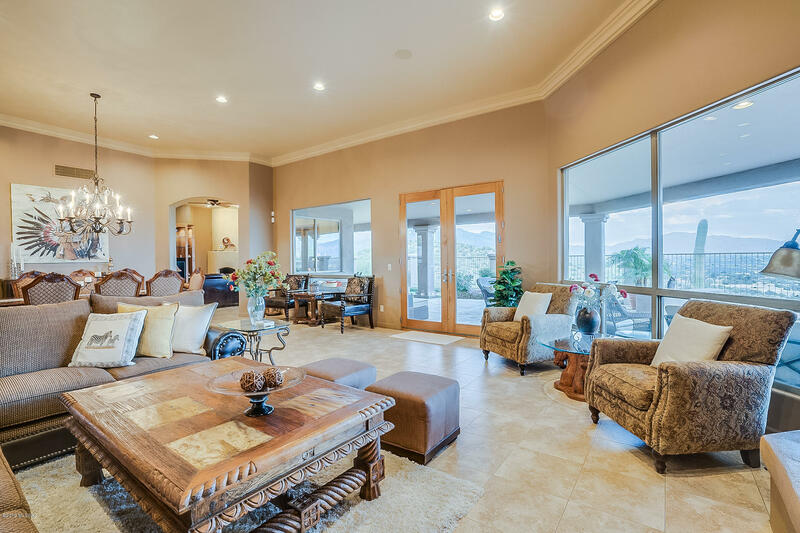 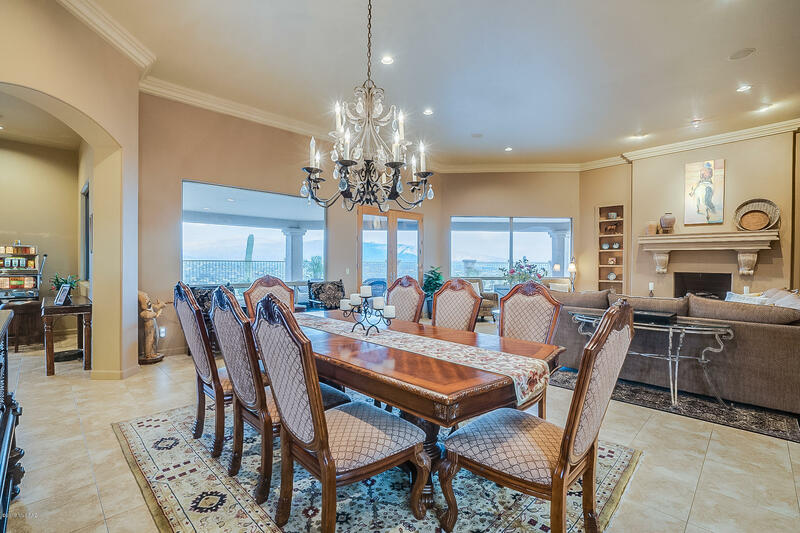 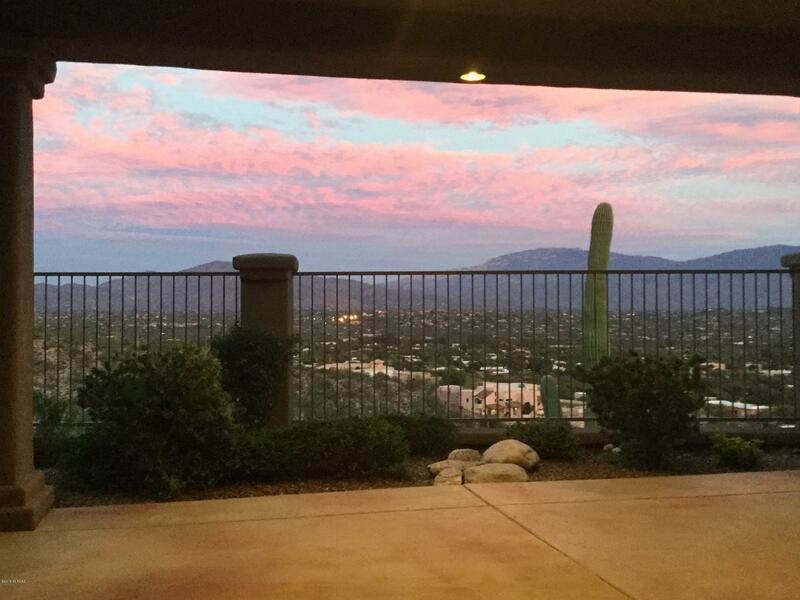 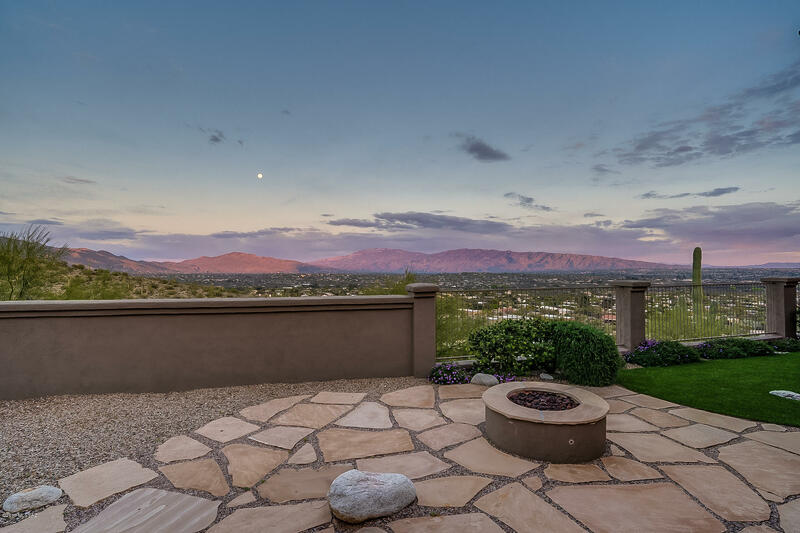 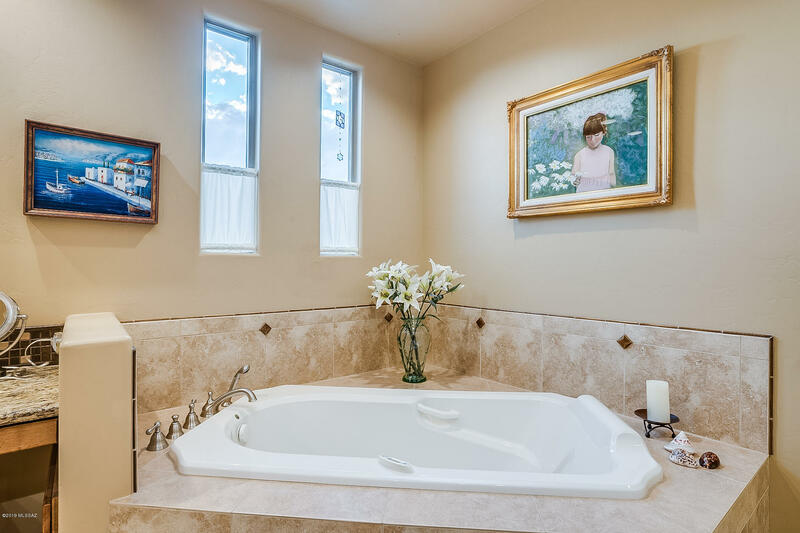 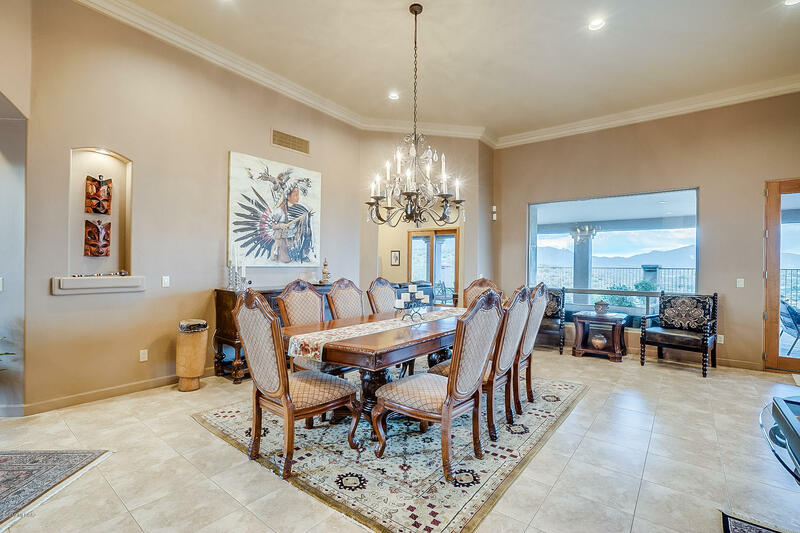 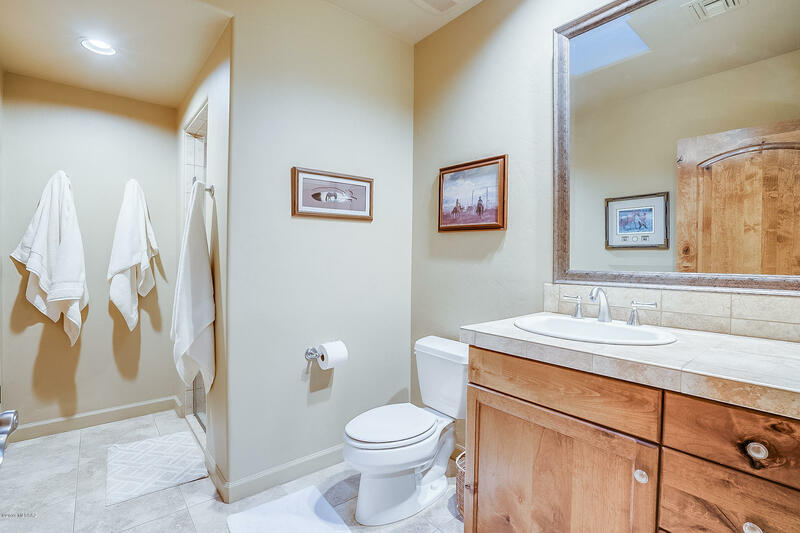 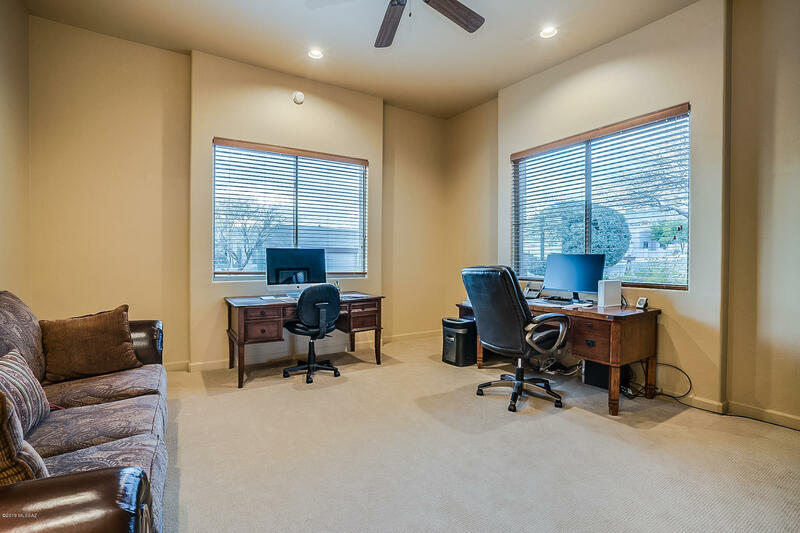 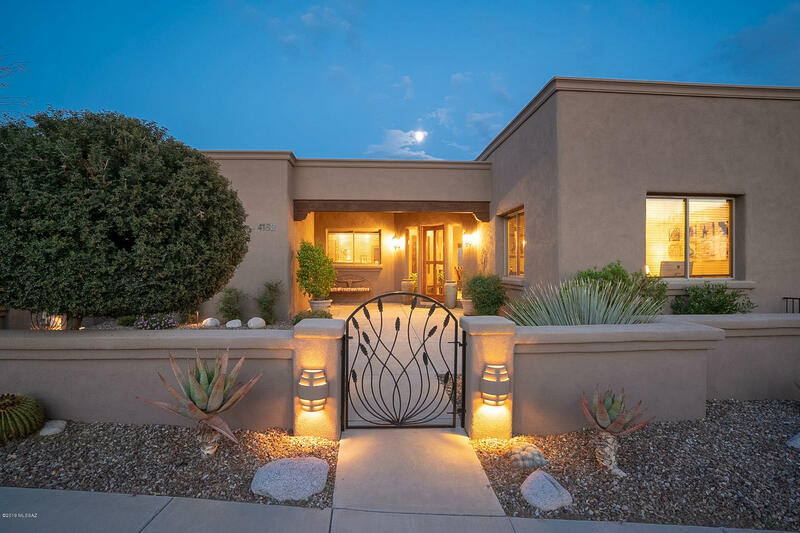 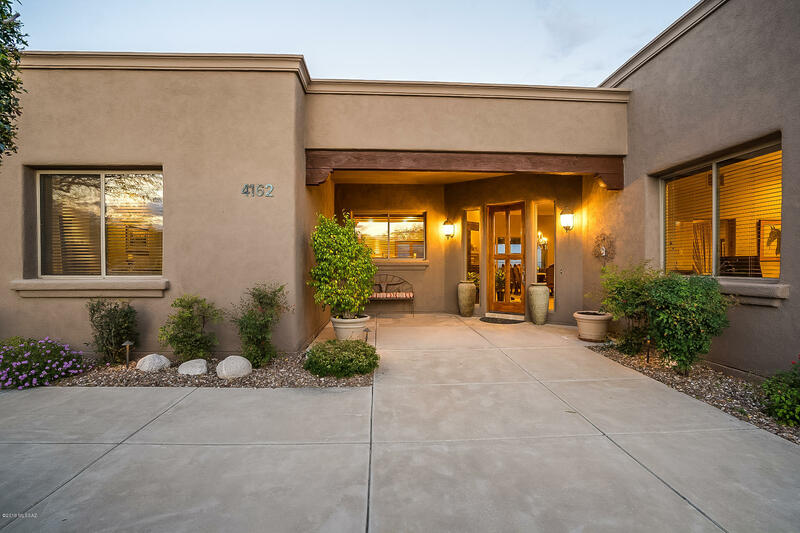 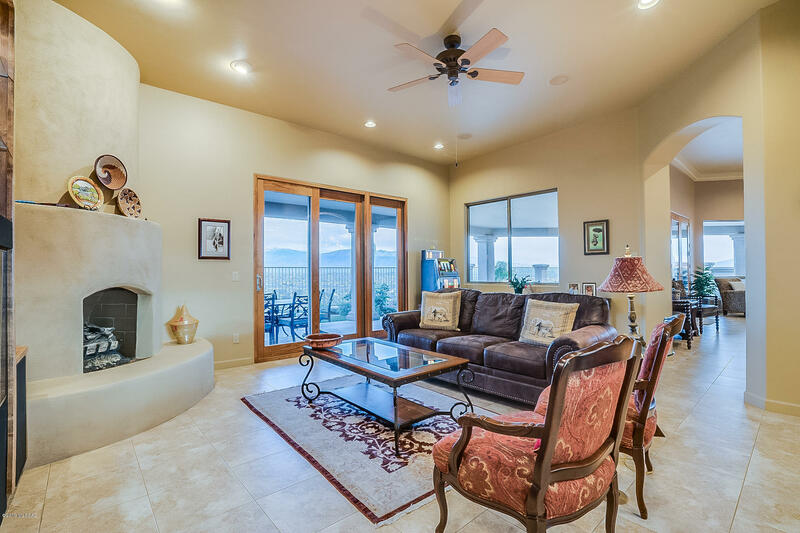 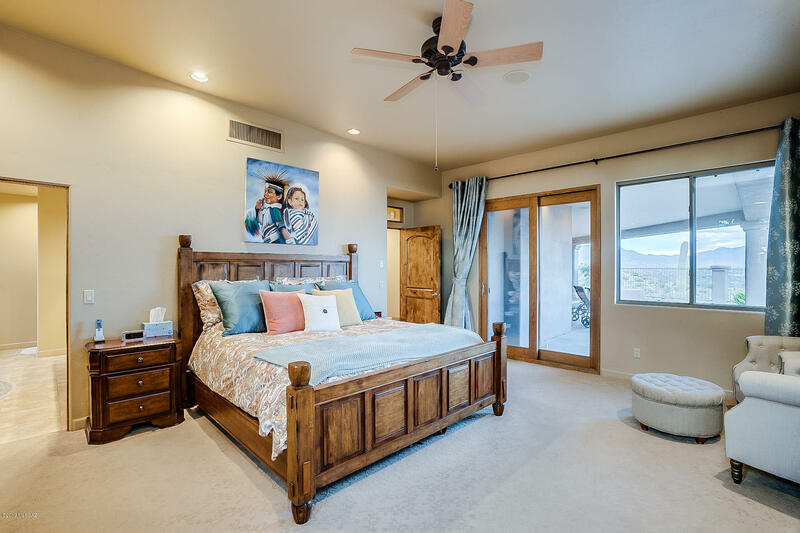 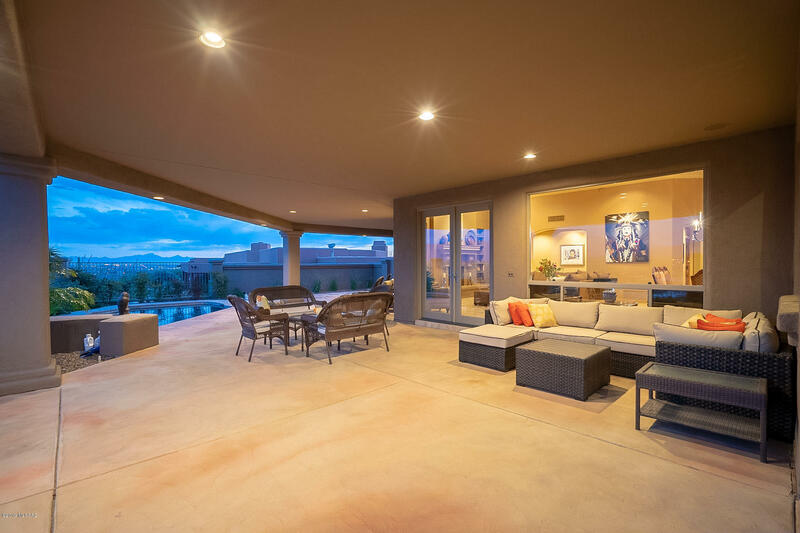 Sabino Mountain Custom Quality built home sits high on the ridge with stunning panoramic mountain vistas and twinkling city lights Formal LR/DR with fireplace, crown molding, & high ceilings. 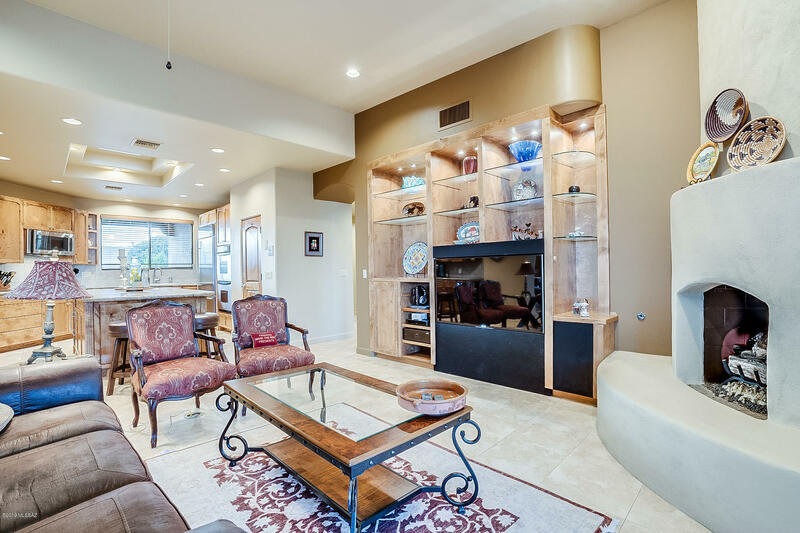 Casual living in the family room with fireplace opens to gourmet kitchen w/large island, alder cabinets, SS appliances, Advantium microwave & granite counters. 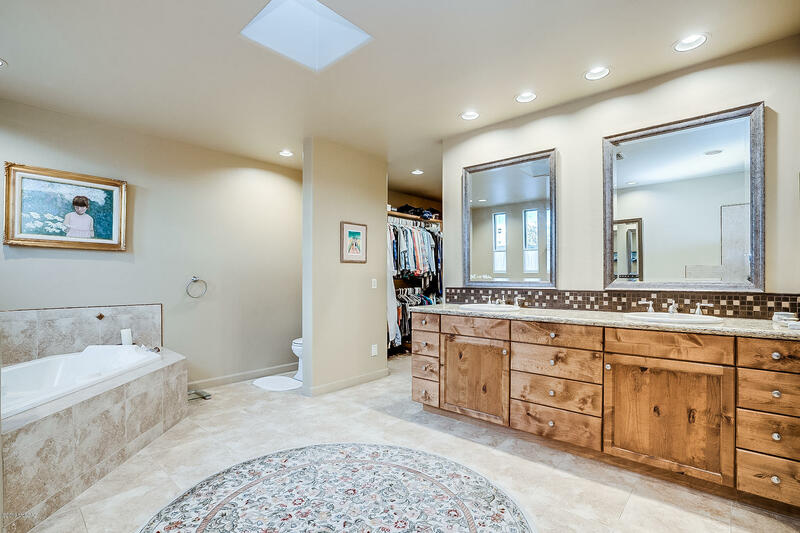 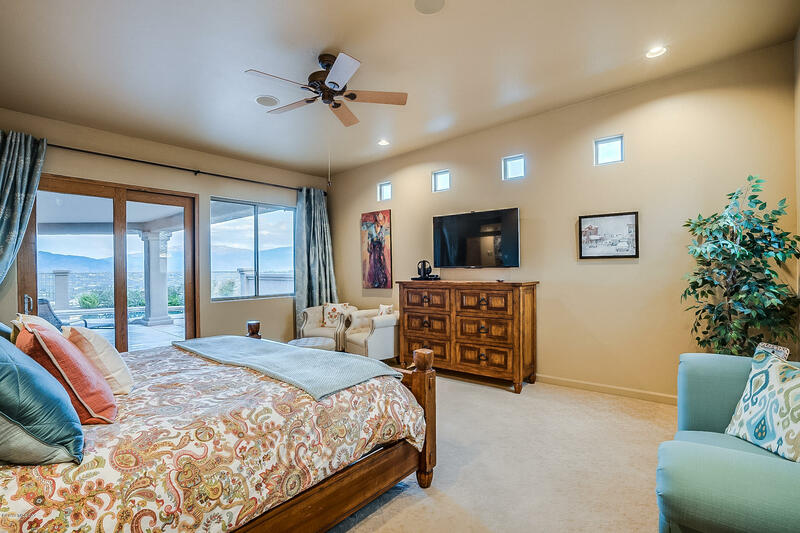 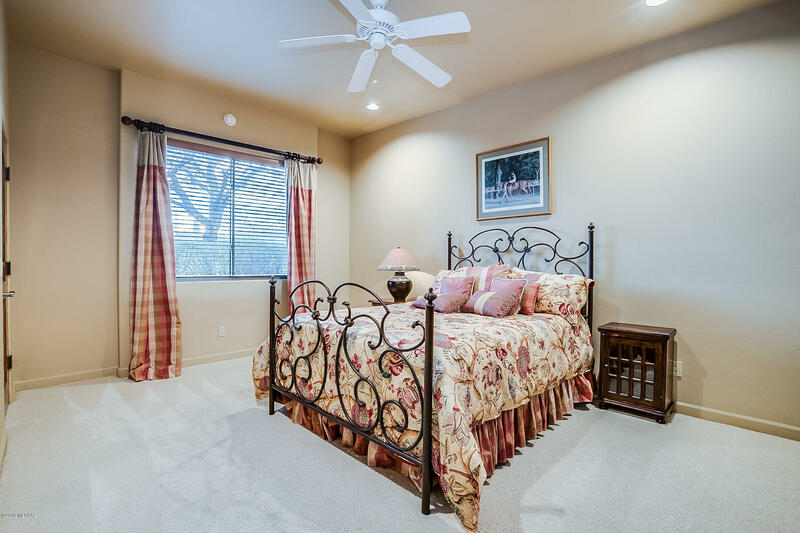 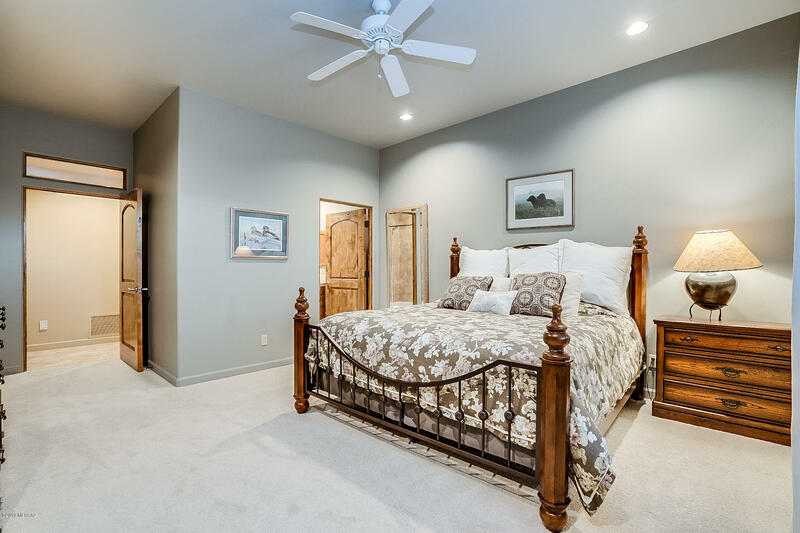 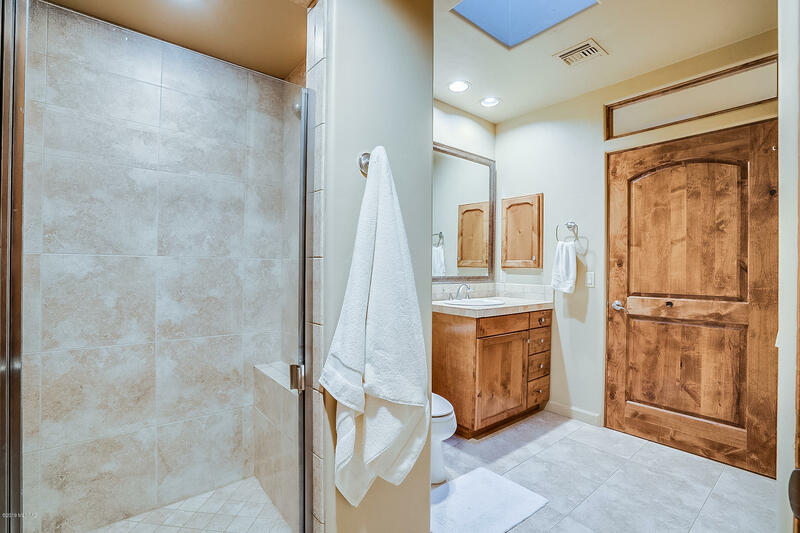 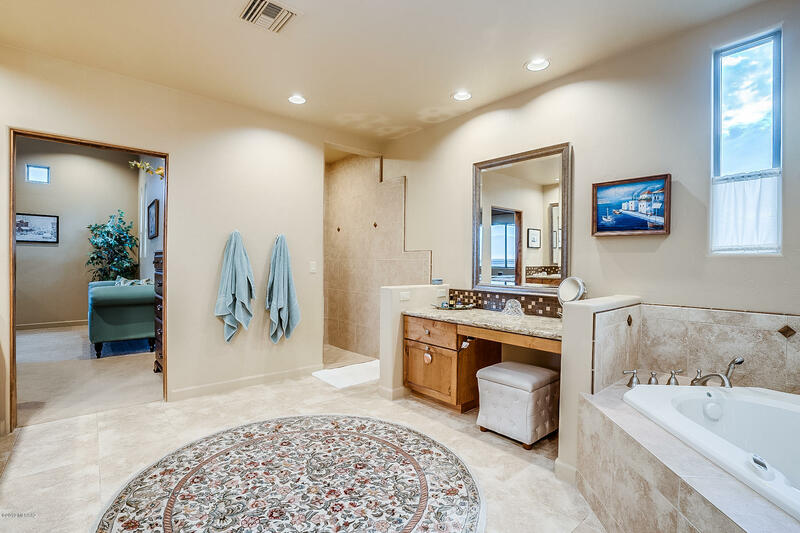 Luxurious spacious master bedroom/bath with dual vanities, jetted tub & granite counters. 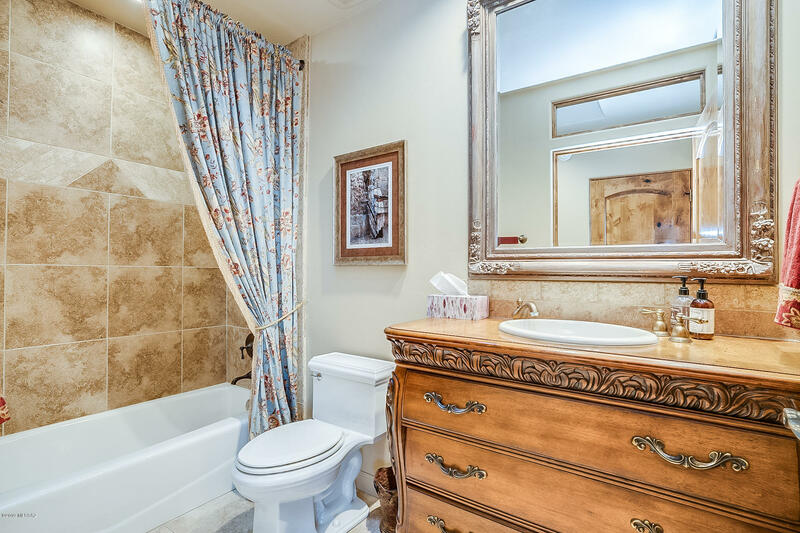 2 additional ensuite bedrooms and cozy den & 4th full bath. 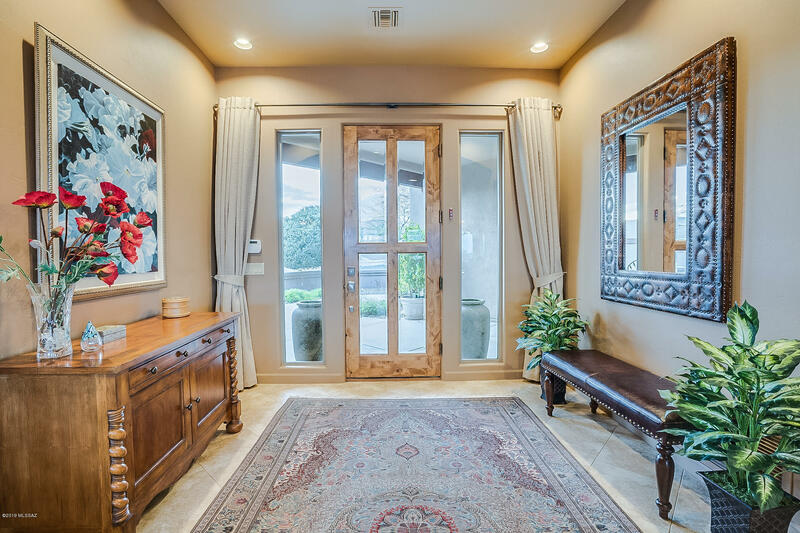 Beautiful alder doors and trim throughout. 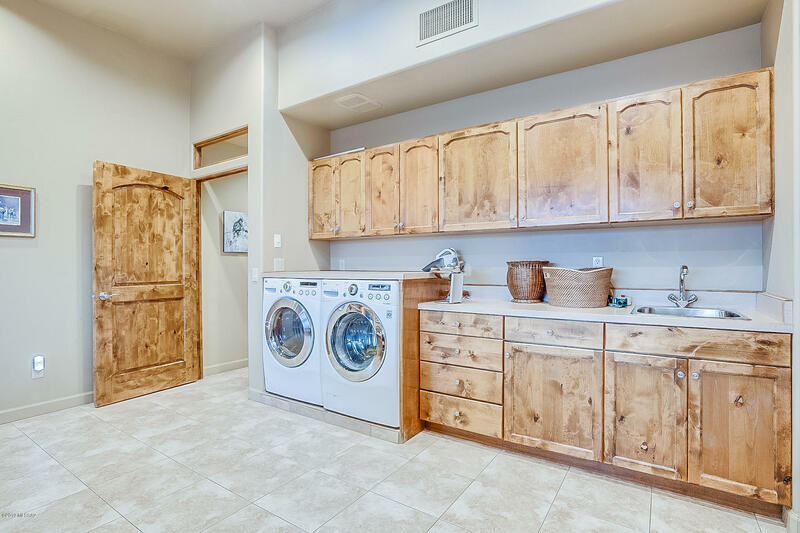 Exceptionally large laundry/craft room for your hobbies, sewing etc. 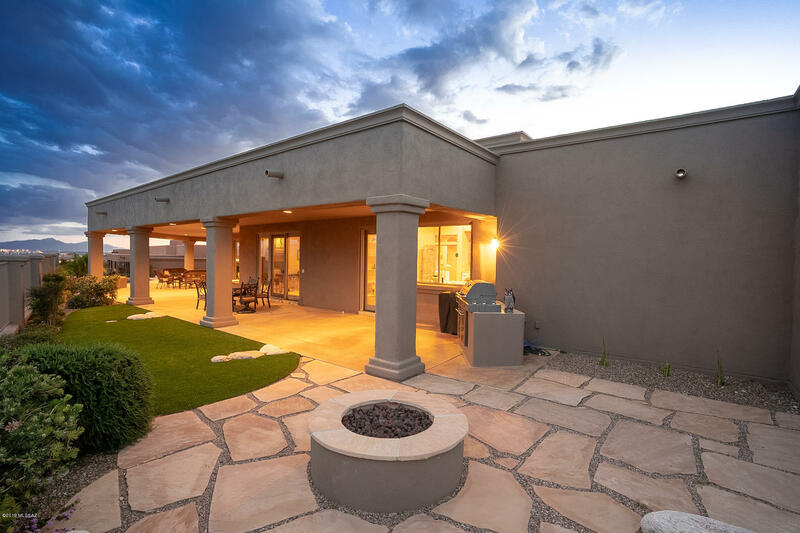 Enjoy the relaxing outdoor living with salt water pool, BBQ, fire pit, and deep covered patio. 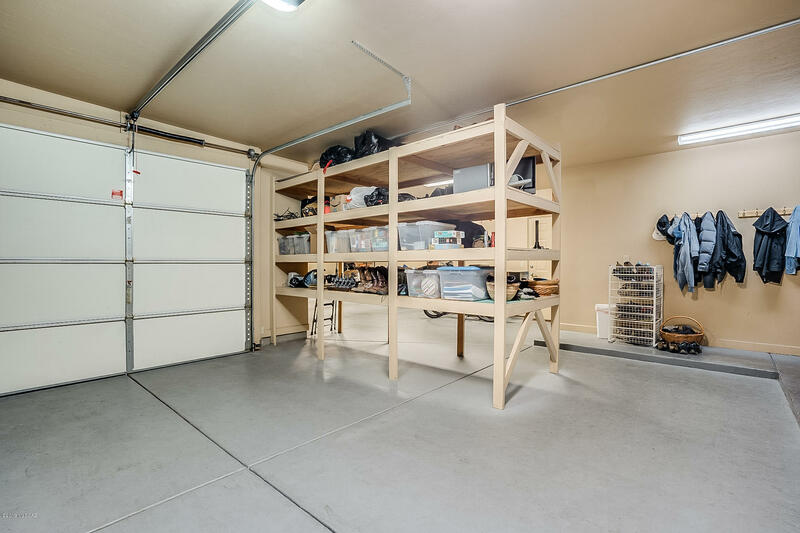 No steps in house. 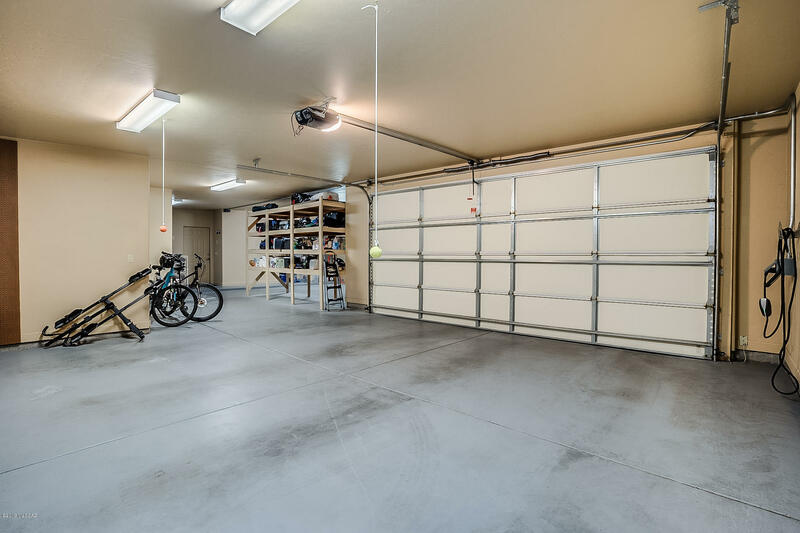 Garage has an electrical outlet for charging your electric vehicle. 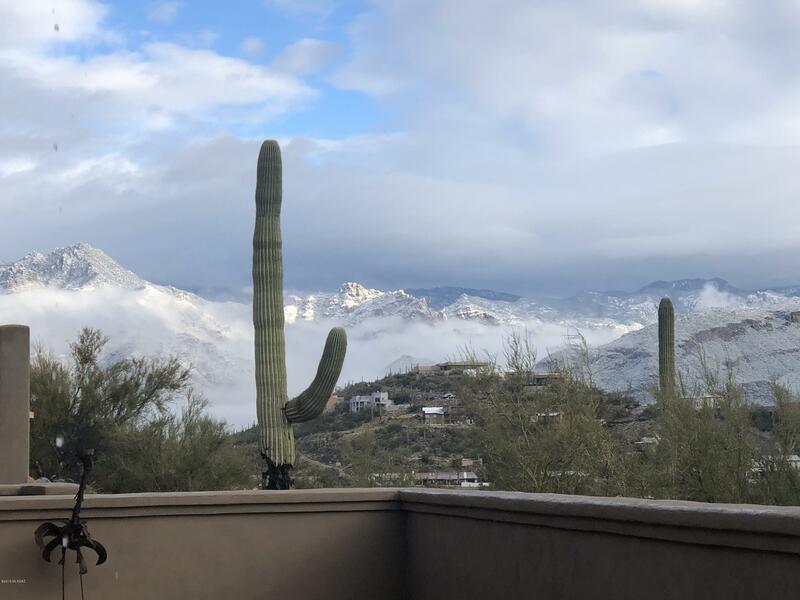 Directions: River/Sabino Canyon N, stay right onto Sabino Canyon road to Sabino Mountain, E to top of hill, straight thru gate to Quail Canyon, E to address.